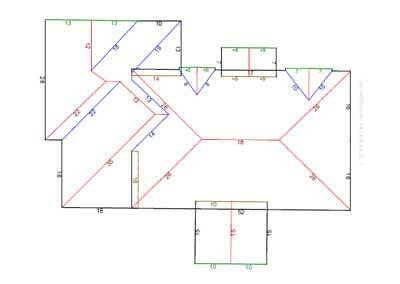 Carolina Storm Roofing Company uses EagleView Technologies that is the easiest and safest way to produce scientific, accurate and technical roof estimates. 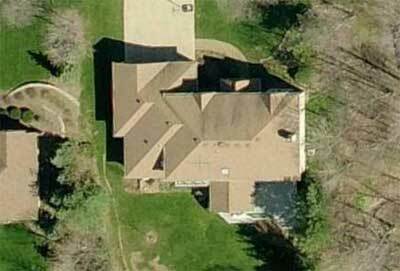 That insures measurement accuracy – particularly in cases of complex roof geometry. Also it will reduce costs and risks of time, transportation, error, and personal or property injury. Both your insurance company and our building professionals benefit from the tight, technical drawings of architectural quality. And we provide them at no additional cost to the homeowner or to the insurance company, and such is also implemented by Carolina Storm Roofing of Mooresville for the property owners Iredell County, NC. With state-of-the-art software and sophisticated aerial imagery to accurately measure lengths, pitches, and valleys on a roof, EagleView creates a 3-D view of the location, complete with individual line, slope and area measurements, most often in as little as 24 hours. 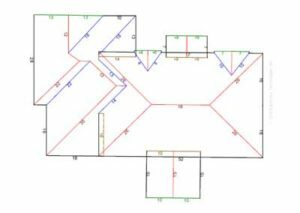 EagleView then produces a thorough, informative and comprehensive 7-to 11-page report that features five different images of the roof – a straight overhead image as well as north, south, east and west elevations of the property. The color-coded images include pitch angles, area specifications and very detailed dimensions …all much more accurate than hand measurements. When it comes to efficient, updated, and reliable roofing services, you can definitely count on Carolina Storm Roofing for help. Whether you need roof replacement, roof repair, roof installation, and other roofing services you can definitely count on us. Contact Us Today!